Tests are written from a separate worksheet interface. Figure 8.11 shows the Create_Edit_Tests worksheet with problems from an existing test imported into its data list. Create_Edit_ Tests worksheet used to write or edit tests. The elements <level> and <time> are mapped to cells B2 and C2 respectively, and the filelD attribute of the <test_properties> element is mapped to cell A2. I initially created the map by importing the file as an XML list when it was void of data; although, it doesn't matter if there is data in the XML file because it's the document structure that's important. The name of the map is test_properties_Map. Excel creates the initial value for a map's name by concatenating the root element name with the word Map. 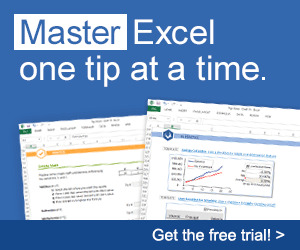 You can change it by selecting Data, XML, XML Map Properties in the Excel application window. The <level> and <time> elements are non-repeating child elements of <test_properties> so each test will have an associated test properties file. These files are named by concatenating the filelD attribute in cell A2 with the character p followed by the xml file extension. When opening an XML file in Excel that does not reference a schema, Excel automatically creates a schema based on the XML source data. If you resave the data from Excel and examine the resulting XML source code in a text editor, you will notice two new declarations. The first new declaration is referred to as the standalone document declaration and can be found in the XML declaration at the beginning of the document. Excel adds the standalone document declaration so that it knows the XML document has external markup declarations (the schema created by Excel), but these external declarations do not affect the document's content. In addition to the standalone document declaration, Excel adds a reference to the location of the schema reserved for an Excel workbook. The reference is added as an attribute to the root element of the XML document. The structure of the XML test file contains the root element <test> with a series of child elements (<problem>) that represent the test problems. Each <problem> element contains the child elements that define a problem (<number>, <left_operand>, <operator>, <right_operand>, and <answer>). 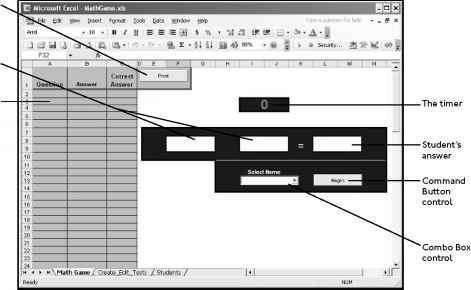 When this file is opened as an XML list, the data elements are loaded into adjacent columns in the worksheet. Element types (child, parent, attribute, and so on) can be identified from the icon displayed in the XML Source Task Pane. In order for Excel to recognize a repeating parent element such as <problem>, I had to include at least two of these elements in the original file that I opened with Excel when creating the XML list and map. I will use the fileID attribute of the <test_properties> element to specify the file name of a test file; therefore, each test is associated with two XML files (for example, test7p.xml and test7.xml). The program only needs one of these files to open an existing test because a test file's name is stored in the fileID attribute of the test properties file; thus, when the user chooses to open a test file, they must be shown a selection of test property files and not the test files themselves. The problem with this structure is that the <level> and <time> elements, and the fileID attribute are associated with every <problem> element in the file; so when Excel imports the data into a worksheet, it will repeat the values for the fileID attribute, and <level> and <time> elements. This causes a data redundancy and the resulting map is said to be denormalized. 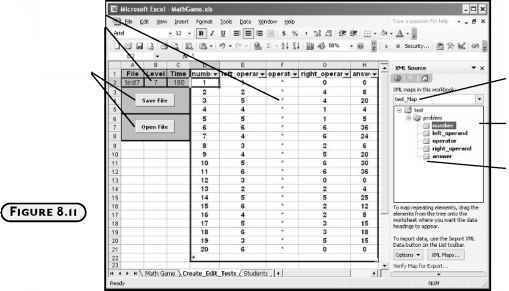 Excel cannot export data from a denormalized map to an XML file.